Sheila Lintott is an Assistant Professor of Philosophy at Bucknell University, and the mother of two children. She is co-editor (with Allen Carlson) of Nature, Aesthetics, and Environmentalism: From Beauty to Duty (2008) and was co-editor of the American Society for Aesthetics Newsletter (2005–2008). 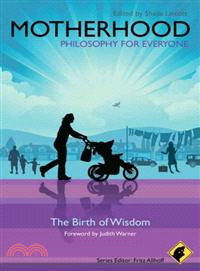 Navel-Gazing at Its Finest: An Introduction to Motherhood – Philosophy for Everyone (Sheila Lintott). PART I MOMMY BRAIN: Truth, Knowledge, and Belief in Mothering. 1 How Many Experts Does It Take to Raise a Child? Mothering and the Quest for Certainty (Sue Ellen Henry). 2 Creative Mothering: Lies and the Lying Mothers Who Tell Them (Amy Kind). 3 Pro-Choice Philosopher Has Baby: Reflections on Fetal Life (Bertha Alvarez Manninen). 4 Kim, Ellen, and Zack's Big Adventure: Lesbian Mothers Raising a Boy Steeped in His Masculinity (Kim Anno). PART II LABOR PAINS: The Work and Wonder of Being a Mom. 5 Days and Nights of a New Mother: Existentialism in the Nursery (Elizabeth Butterfield). 6 Mindful Mothering: How Feminist Buddhist Practices Enhance Experiences of Beauty (Sheryl Tuttle Ross). 7 A Face Only a Mother Could Love? On Maternal Assessments of Infant Beauty (Glenn Parsons). 8 Kevin, Coming Into Focus: On Getting to Know My Son (Laura Newhart). PART III MOM’S MORALITY: Ethical Issues in Mothering. 9 Making Choices: The Ethics of Infant Feeding (Chris Mulford). 10 Lactational Burkas and Milkmen: On Public Breastfeeding and Male Lactation (Maureen Sander-Staudt). 11 On "Crying-It-Out" and Co-Sleeping (Kevin C. Elliott and Janet L. Elliott). 12 Natural Childbirth is for the Birds (Jen Baker). PART IV IS MOTHERHOOD EVERYTHING YOU THOUGHT IT WOULD BE? FANTASY MEETS REALITY. 13 The Off Button: Thought Experiments and Child Control (Sara Goering). 14 The Virtues of Motherhood (Nin Kirkham). 15 The Media Proudly Present: "Lessons" From Celebrity Moms (Clemence Due and Damien W. Riggs). 16 God, Mom! The Blessings of Breasts and Womb (George A. Dunn). A Brief Afterword: Some Words from Contributors’ Kids on Motherhood and Philosophy. Read All About It: A Feminist Bibliography on Pregnancy and Mothering (Compiled by Amy Mullin).